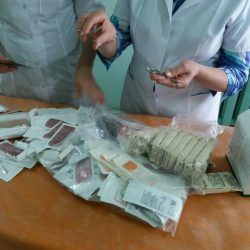 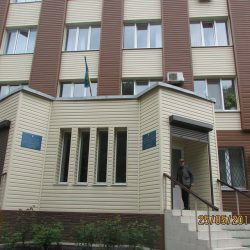 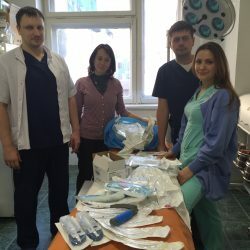 Suture material and bandages have been delivered to a small regional hospital in the city of Mykolayivka, Donetsk region. 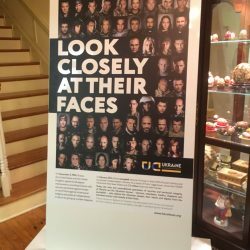 Thanks to Brother’s Brother Foundation and Tetyana Neeley​! 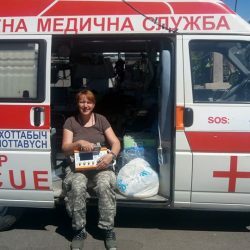 ASAP Rescue received from United Help Ukraine: 575 liters of diesel fuel worth $700. 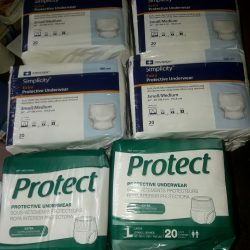 A big thank you to Tamara Rudolph​ who collected these funds at her birthday fundraiser. 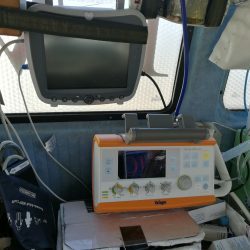 ASAP Zaytsevo installed the respiratory ventilator in an ambulance working on the front lines. 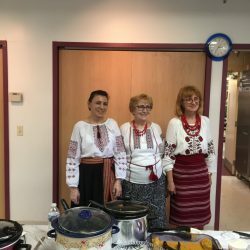 Funds for this medical equipment were raised at a charitable Ukrainian dinner/fundraiser held on May 7th in the Centerville United Methodist Church. 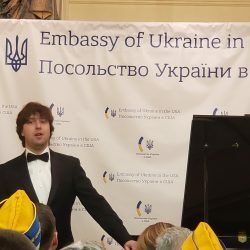 Special thanks to Tamara Rudolph​, Геннадий Мурашко​, and to Yuliya Murashko​ for delivering it to Ukraine. 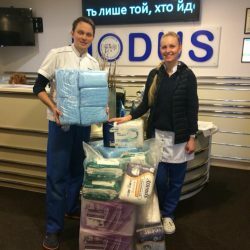 Adult diapers and pads have been delivered to the Mechnikov hospital in Dnipro, military hospitals in Kharkiv and Kyiv. 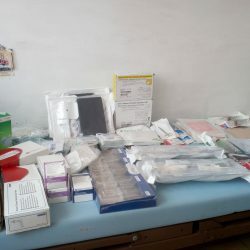 Thank you Alla Lowe for collecting all these supplies! 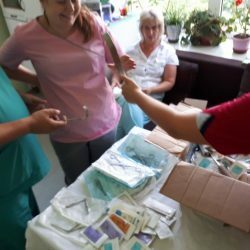 Ukrainian charitable fund “From hospitals to frontlines” received six packages of adult diapers from the last United Help Ukraine’s shipment. 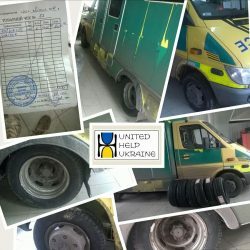 Six summer wheels have been purchased for the ambulance of the Lviv 66 Military Hospital. 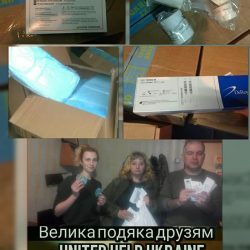 The total cost of 8200 grv ($320 ) was paid by United Help Ukraine. 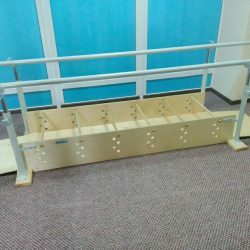 United Help Ukraine helped with the purchase of gymnastic bars for the Irpin Military Hospital. 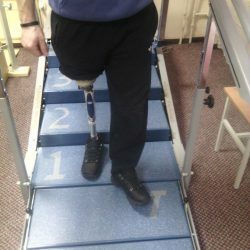 The bars have been installed in the hospital’s gym and will be used for training and rehabilitation of wounded soldiers. 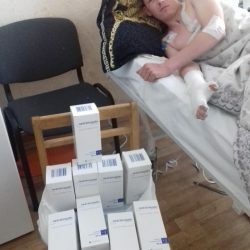 Parcels from United Help Ukraine arrived to hospitals in Mariupol. 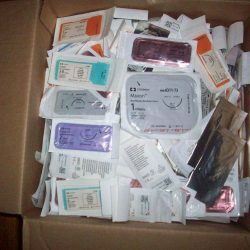 The parcels included suture material, surgical instrument, laryngoscopes, bandages. 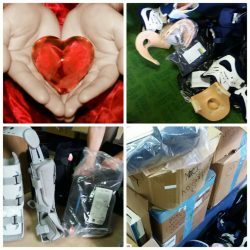 The items were delivered to the Department of Pediatric Surgery and Traumatology, Anesthesiology, and to otolaryngologist and urologists. 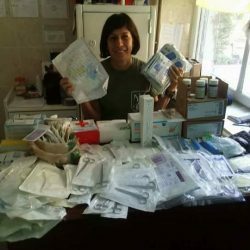 Thank you Tetyana Neeley​ for organizing help for the hospitals. 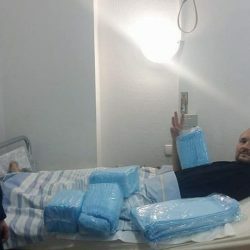 United Help Ukraine received a note from volunteer Yuliya Severyn that T-shirts from UHU’s shipment have been distributed to wounded soldiers on treatment in the military hospital in the city of Kharkiv. 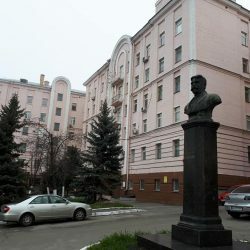 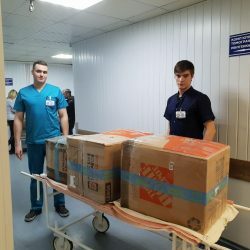 Medical supplies and t-shirts from United Help Ukraine shipment have been delivered to the Volnovakha hospital and to soldiers at Svitlodarsk bulge. 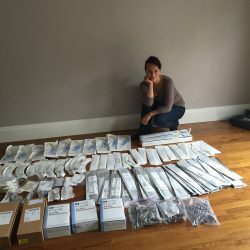 Thank you Tamara Rudolph​ for your help! 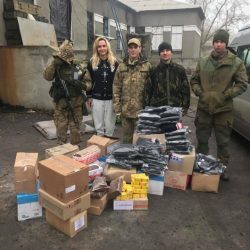 New t-shirts and sweatshirts from United Help Ukraine shipments were distributed to soldiers in Svitlodar and Kharkiv hospitals. 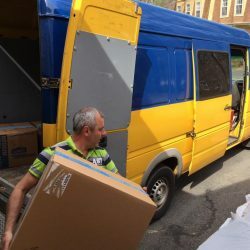 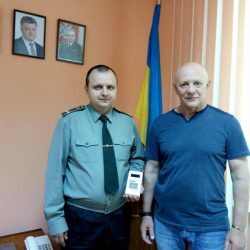 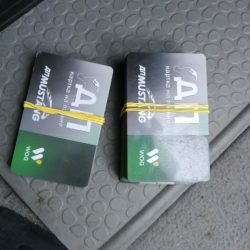 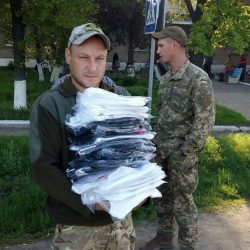 A belated report: Sweaters, t-shirts, and socks from the United Help Ukraine shipment had been distributed to veterans in hospitals throughout Ukraine right in time by the Easter holiday. 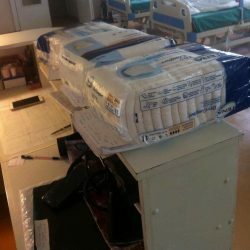 Thank you to everyone involved in the delivery! 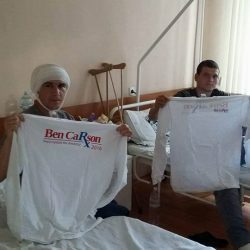 Wounded soldiers who are currently on treatment at the military hospital in Irpen received new t-shirts from UHU’s shipment. 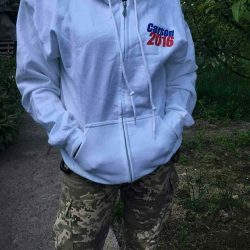 UHU helped to buy jackets and sneakers for wounded soldiers. 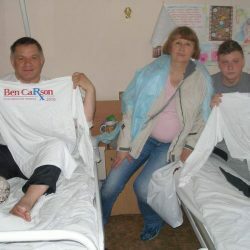 Sixty t-shirts from the United Help Ukraine shipment have been delivered to Chernivtsi Military Hospital. 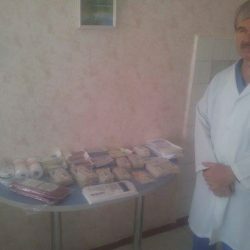 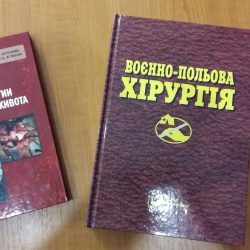 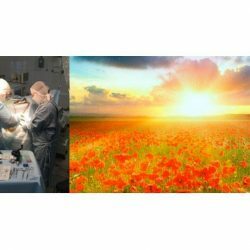 The surgical department of the Khodoriv city hospital received medical materials and surgical instruments. 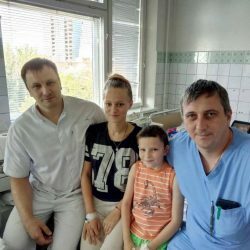 Doctors express their gratitude to the United Help Ukraine team and volunteers who organized the action and delivered this much-needed assistance to the hospital.